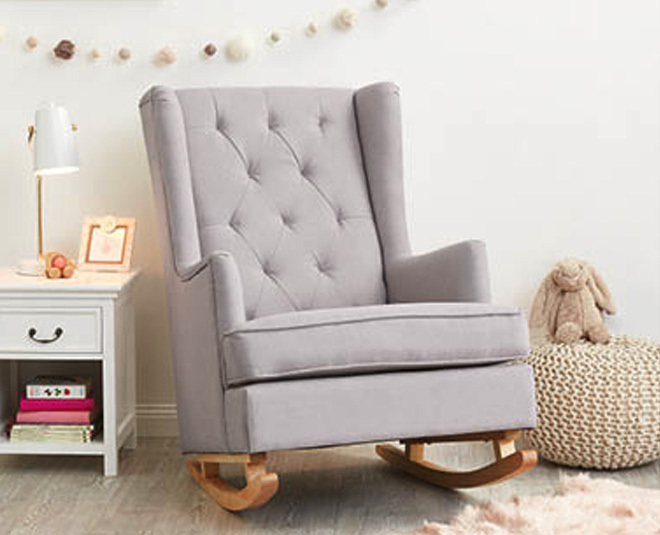 If you’d heard whispers that ALDI’s sought-after nursery rocking chair was coming back and had pricked up your ears in anticipation, you’ll be thrilled to know that the rumours are 100 per cent true! 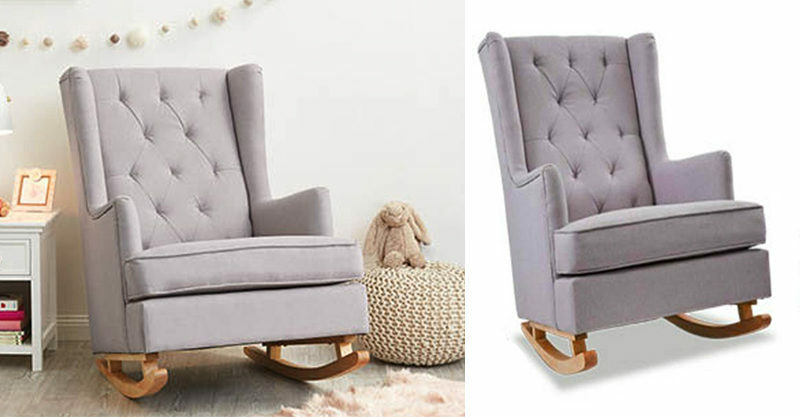 The ALDI chair had people elbow to elbow in the centre aisle last time it was featured as a Special Buy, selling out in just ONE MINUTE and leaving lots of mums a little bit brokenhearted – and considerably lacking in a rocking chair. 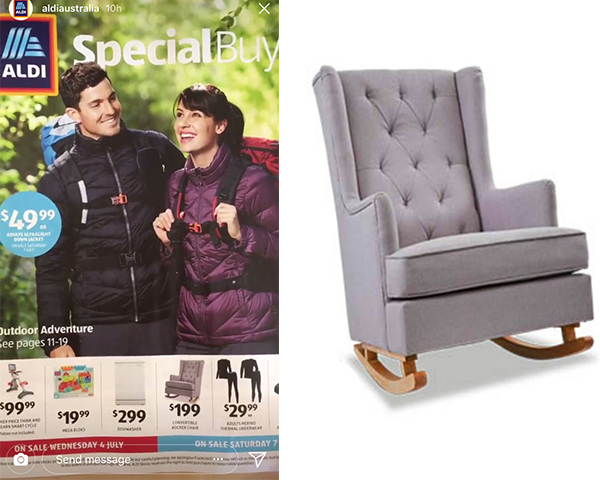 The chair sparked queues at the store door the last couple of times it went on sale, and we predict frantic social media updates alerting rocking chair fans to stock at particular locations. When ALDI sold this product back in 2017, there was pandemonium as people strove to be at the front of the line to secure one and earlier this year, it was more of the same. “Omg, it’s back! This time I’m waiting out the front with a baseball bat,” one woman joked, Yahoo reports. It’s funny because it’s semi-true. ALDI is now well-known for stocking these Special Buy products at fairly impossible to predict quantities across stores. Some shops get one or two of an item, while others are allocated more generous inventory. Parents and grandparents have been acutely disappointed in their quest for a Special Buy, missing out on coveted ride-on toys, vacuum cleaners and more. Emotions run high and some shoppers have called for a rethink of these offers, still smarting from missing out. Aldi says they don’t set out to disappoint customers, and are not guilty of the ‘bait advertising’ they’ve been accused of. If you’re a darling adrenaline junkie that fancies pushing life’s boundaries and inspiring others with your bravery, you might like to have a crack at scoring a rocking chair? They’ll be on sale as part of ALDI’s Special Buys program on Saturday 7 July.